Meet the bakers who are working overtimeA�to make your Christmas a feast to remember. traditional fruit cake). At Cooke Town. Savardekar starts prepping for Christmas a year in advance. His recipe is elaborate too. a�?Last year, I mixed big sultanas, raisins, blackcurrants, Turkish apricots, candied cherries, figs, dates, cashew nuts, orange peels, tutti-frutti and stewed fruits. I dona��t use almonds. We also added caramel sauce, spices, bread crumb, eggs and butter. Then we segregated the mixture for cakes and puddings. We further divided the mixes to make alcoholic and non-alcoholic cakes and puddings,a�? Savardekar describes. He then adds dark rum, brandy, sweet port, beer and whisky in the a�?alcoholic mixa�?. a�?Since so much alcohol goes into the mix, it needs time to break down, and release flavours ,a�? he explains. You can also order mince pies, pudding, stollen, macarons, and pannetone. fruits such as almonds, cashews, cranberry and blueberry, steeped in a combination of wine, brandy and rum since February. The alcoholic mix lends the fruits a delicious flavour. After baking the cakes, she soaks them in rum for a few days. So you need to give her at least two days to prepare your order. a�?While most plum cakes are either dark brown colour or caramel in colour, mine are slightly reddish. No, I dona��t use any dates. That red colour is the secret,a�? she says. 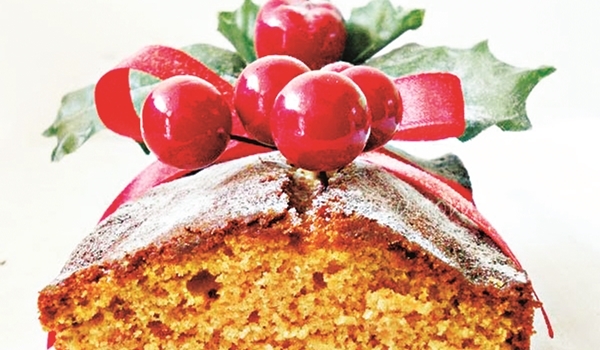 Krishnan also bakes regular plum cakes, rum cakes, apple pie, chocolate tarts and cupcakes. a�?We are also doing decorative Christmas cookies,a�? she adds. A�Rs 900 (for 1 kg plum cake), Rs 150 (sugar cookies). If you want to give away beautiful, artsy or A�customised Christmas favours and goodies, head to Katherene Deboraha��s studio. a�?Presentation is one of our key strengths. We make tiny little Christmas trees, snowflakes, snowmen, Santa Claus, etc. We stick to red, green, white, and gold colours for our desserts, and even the packaging,a�? says the 27-year-old baker. Incidentally, she doesna��t bake plum cakes. So whata��s the most-sought after item this season? a�?The tiny glass jars with classic desserts, laid in layers. For instance, I can lay a layer of white vanilla cake first, top it up either with white chocolate or cinnamon butter cream coloured in red. Then I can add a layer of green velvet cake, add fruits such as rum-soaked cherries, roasted nuts and caramelised nuts,a�? she says. Rs 1,500 (1 kg pudding cake), Rs 250 (desserts in a jar). Butter Cup is whipping up carrot cakes, A�pumpkin-cinnamon cakes, banana almond A�cakes, ginger bread, apart from the quintessential Christmas fruit cakes. 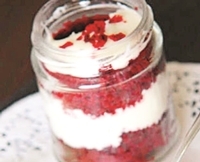 The counter is also selling the A�star of the season a�� desserts in a jar. Get their plum cake soaked in a jar of rum topped with fresh cream and nuts, as well as the carrot cake with mascarpone cream. In the first week of November, chief baker Kaavya Sukeerth soaks spices, dry fruits and plum cake mix in black and white rum. All their Christmas offerings are made-to-order. You place the order, they will bake it and send it to you as soon as it is done. It might be even warm when you receive it. On the presentation front, they have imported bakeable trays from Italy, in brown, green, pink, yellow and green colours. They bake in that container and send the cake in the same. At the most, they add a satin ribbon bow on the packaging. This year, Michelle Gafoor soaked a fruit and A�spice mix of 400 kg, a hundred more than last year. The 45-year-old, who bakes from home, tells us why her plum cakes are a hit: a�?It is made from a traditional family recipe handed down over four generations. Ita��s fruity and dark, and made with minced/candied mixed peel and dry fruits, fruit jams, marmalade and caramelised sugar. They are then blended with almonds and walnuts. The cakes turn out to be moist. They are mildly sweet, have a caramel taste and kids like it.a�? 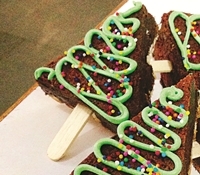 Preparations begin in October, says Gafoor, who bakes at least 12-13 kg of cakes every day. Her Christmas menu includes plum cakes, fresh ginger with molasses cakes, and stollen. The bread has the right balance of rum-soaked fruits and crumb with a marzipan centre. She has also steered into confectionery, which is available in two chewy flavours a�� passion fruit caramel and salted butter caramel. a�?I dona��t take bulk orders though,a�? says Balasubramanyam. She steeped sultanas, black raisins, currants, lemon and orange peel, and cherries in rum in October. Baking began in November. Since then, she has been brushing the cakes with alcohol every 10 days to keep them moist. a�?Ita��s a dark, dense cake, full of alcohol, and the flavours are profound,a�? she says.